Partly to mostly cloudy. High 56F. Winds N at 10 to 20 mph..
Leonard W. Olson, 91 of Bandon passed away March 28, 2019 at home with his family at his side. He was born in Bayfield, Wisc., July 4, 1927 to August and Nellie (Butterfield) Olson. He was united in marriage to Avis Jane Mead April 22, 1950 in Ashland, Wisc. They moved to Bandon in 1952. He worked on the Great Lakes hauling iron ore and wheat to eastern cities and served in the U.S. Navy. After moving to Bandon he worked in the timber products industry until retirement. He was a member of the Red Cliff Band of Lake Superior Chippewa tribe. Leonard is survived by his children, Fred Olson of Bandon, Tim and Lily Olson of Montana, Lynette and Gale Turner of Bandon, Patti (Colleen) and Russell Fraser of Bandon; son-in-law, Don Sitter of Eugene; sister, Carol Knerringer of Minnesota; numerous cousins, nieces, and nephews; 14 grandchildren; and 21 great-grandchildren. He was preceded in death by his youngest daughter, Beth Lenee Sitter, one brother, and one sister. Private interment will be held at the IOOF cemetery on the family plot in Bandon with arrangements by Amling Schroeder at Bandon. A celebration of life will be held for Leonard and Avis at a later date. Leave a loving memory on the online guestbook. Peter A. Goodbrod was born May 27, 1929, in Hot Lake, Ore. He passed away March 7, 2019 at Woodland Convalescent Care in Washington from complications of Parkinson’s. Pete was raised as an only child, the son of Ad and Georgie Anna Goodbrod. His early years were punctuated by moves to such places as Irrigon, Hermiston, Pendleton, Arizona, Los Angeles, Crow, and finally Molalla, Ore., where he graduated from high school. In the fall of 1947, Pete enrolled at Oregon State College (University) where he pursued and obtained a Bachelor of Science degree in education in 1952. While in college, he was a three-year letterman in baseball, and was elected captain of the baseball team his senior year. This was the year that Pete’s team participated in the Baseball College World Series in Omaha, Neb., and in 1992, the team was inducted into Oregon States Baseball Hall of Fame. He also played two years on the Oregon State basketball team. It was during his college days that Pete met his wife, Joan DeCosta. He was spending summers in Bandon working at Moore Mill and playing semi-pro baseball. After a three-year courtship they were married Sept. 9, 1951, at Holy Trinity Church in Bandon. They spent their first years of marriage in Corvallis. After graduation from Oregon State, Pete was called to serve in the U.S. Army Corps of Engineers as a second lieutenant from August 1952 to May 1954. Pete and Joan were together at Fort Belvoir, Va.; Camp Wolters, Texas; and Fort Slocum in New York. In September 1953, Pete was assigned to Taegu, Korea. He was the personnel officer and was in contact with the people. Being the caring person that he was, when he left, the people presented him with a Korean doll and a letter of appreciation for working with them. This doll and letter are in the Bandon Museum along with baseball items that he donated. After Pete’s discharge from the Army, he and Joan decided to make Bandon their permanent home and have a family. They were blessed with two daughters, Michelle and Cindy. Pete worked at Moore Mill, FS & P, Capps Motor Company, and began to work for the late Ken Rogge as a bookkeeper on July 18, 1960. He drove lumber truck for Rogge Forest Products from 1962 to November 1991, at which time he assumed the position of company purchasing agent until his retirement Dec. 31, 1991. On March 17, 1993, he was honored by a Rogge Affiliate’s retirement party for his 32 years of service. More than 150 people gathered to honor him. When an award was begun in 1990, Pete was selected as Rogge’s first employee of the year. For 25 years he was a volunteer assistance coach at Bandon High School in football, basketball, baseball and track. Over the years, he was a member of the Baseball Beaver Club, Our Beaver Nation, Athletic Student Funds and a lifetime member of Oregon State Alumni Association. Being avid Beaver fans, Pete and Gerry Fraser purchased season home football tickets year after year, rain or shine, win or lose! Pete enrolled in ground school taught by Terry Morrison and obtained a private pilot’s license Feb. 18, 1994, at the age of 65. Terry and Pete remained the best of friends. September 2016, Pete and Joan were the parade Grand Marshalls celebrating 70 years of Bandon Cranberry Festivals. Pete was a member of Coquille Valley Elks, American Legion and Veterans of Foreign Wars. His love for golf was hindered as his Parkinson’s progressed. He missed golfing with his buddies: Don Goddard, Harvey Hiley and Tom Gant. Pete and Joan enjoyed living at Pacific View from 2015 until Pete’s fall in December 2018. Pete was preceded in death by his parents, Francis Adrian and Georgie Anna Goodbrod; and a sister who died at birth. He is survived by his beloved wife, Joan; daughters, Michelle and Bill White of Kalama, Wash., and Cindy and Marc Schafler of Mesquite, Nev.; granddaughters, Valerie and friend, Kelly of Longview, Wash., and Jennifer of Vancouver, Wash.; great-grandchildren, Brittany of San Francisco, Ca., Austin of Chicago, Ill., Zander and Olivia of Arizona, and Allister of Salem, Ore., brother-in-law, Glenn Sickels of Port Orford; nephews, Charles, Dan, and Bob Sickels; several great-nieces and great-nephews; and cousins, Barbara, Patty, and Joan. Services will be at 11 a.m. Saturday, April 13, at Holy Trinity Catholic Church to celebrate Pete’s life. A luncheon will follow at the hall. After lunch, there will be a private burial with military honors at Holy Trinity Cemetery. In lieu of flowers, the family requests memorial contributions to Bandon Historical Museum, P.O. Box 737, Bandon, OR 97411. Pete Goodbrod, husband, father, best friend, forever remembered and dearly missed. Leave a loving memory on the online obituary. Gloria R. Claytor - 70, of Coos Bay, passed away April 9, 2019 in Coos Bay. Arrangements are pending with Coos Bay Chapel, 541-267-3131. Melynn E. Slay - 68, of North Bend, died April 8, 2019 in Coos Bay. Arrangements are pending with Coos Bay Chapel, 541-267-3131. Kevin Charles James Dow - 36, of North Bend, passed away April 8, 2019 in North Bend. Arrangements are pending with North Bend Chapel, 541-756-0440. Melynn E. Slay, chapel service, 3 p.m., Coos Bay Chapel, 685 Anderson Ave.
Leo F. Murphey - 86 of Reedsport, passed away April 1, 2019. Services will be held at a later date. Arrangements are pending with Burns's Riverside Chapel Florence Funeral Home, 541-997-3416. George E. Shore Jr. - 88, of Reedsport, passed away peacefully Tuesday, April 2, 2019. Arrangements under the direction of Dunes Memorial Chapel, 541-271-2822. David Duble - graveside, 2 p.m., Sunset Memorial Park, 63060 Millington Frontage Road, Coos Bay. Arrangements are under the direction of Coos Bay Chapel, 685 Anderson Ave., 541-267-3131. At her request, no public services will be held for LaVaughn Gould, 92, of Coos Bay. LaVaughn was born July 19, 1926 in Nampa, Idaho to Earl and Clariese Stiff. She peacefully passed away in her sleep April 5, 2019 from congestive heart failure. LaVaughn was the oldest of five children. She grew up in Baker, Ore. It was there she met Robert “Bob” Gould, a young U.S. Navy flight instructor from Burns, Ore. who was home on leave. They married in Baker April 19, 1944. After the war, Bob and LaVaughn moved back to Baker, then on to Portland. By then, they had two sons, Rowan and Roger. While living in Portland, then Milwaukie, Ore., LaVaughn began working as a medical lab technician, eventually working into the specialty of cytology. The family moved to Coos Bay in June 1960, when Bob took a job as a salesman at Tower Ford. LaVaughn soon began working at McAuley Hospital as a cytologist. When McAuley closed, she moved to McGowan Lab, with whom she worked until retiring in 1992. In 1969, Bob and LaVaughn bought property on North Tenmile Lake, next door to McKay’s market owner Chuck McKay. Next to Chuck, on the other side, were Bob and LaVaughn’s good friends, Milt and Maxine Schmidt. Two doors down the other way was Gordon and Elaine Joelson’s cabin. And then the good times began. The lake became the place to go for Bob and LaVaughn’s friends and family. Every Memorial Day, Fourth of July and Labor Day, the place was packed with people, including friends and family of the Schmidts, the Joelsons, and Chuck and Sherida. LaVaughn is credited with being the founder of the famous lawn dart tournament. If you motored your boat by their property on one of these holidays, you would see scores of people flinging those red, yellow or blue darts at the targets, with never a casualty, while sipping on a London Fog. LaVaughn sold the lake property a few years after Bob died in 1989. She bought a beautiful home on the Illinois River outside Cave Junction, where she lived until moving back to Coos Bay/North Bend in 2014. LaVaughn is survived by her sons, Dr. Rowan Gould and his wife, Dee of Kingston, Wash., and Roger Gould and his wife, Denise of Coos Bay; grandchildren, Alyson Graves and husband, Chris of Denver, Colo., Adam Gould of Coos Bay, Erin Gould and husband, Gilad Gozlan of Ashland, Curtis Gould and wife, Laura of Seattle, Wash., and Erica Gould of San Francisco; as well as five great-grandchildren. She was preceded in death by her husband, Bob, in 1989; and her special friend, Harold Harrop, in 2007. Peggy Lou Buhn -85, of Reedsport, passed away April 7, 2019 in Reedsport. Arrangements are pending with Coos Bay Chapel, 541-267-3131. Eline Alice Powell, 87, of Lakeside passed away peacefully at Bay Area Hospital Sunday, March 31, 2019. Eline or “Yule” as she was lovingly called by her friends and family was born Jan. 11, 1932 in Dickinson, N.D., to Albert and Regina (Wolf) Schaff. The family moved to Spokane where Eline was raised and eventually graduated from high school. Eline met and fell in love with Ward William Powell, they enjoyed a wonderful 67 years together. The family would eventually add six children to the union; Larry, Jeff, Jodi, Gina, Cathy and Richard. During these years the family lived in Spokane, Wash., Portland, Ore., and Lakeside, Ore.
Eline began her working career at Safeway in September 1963, and worked in the variety department for an amazing 32 years. She was the very first female manager and worked at the largest Safeway store, part or her accomplishments was starting the J-Hook program. Eline loved elephants, oriental trinkets, growing her flowers, playing dominos with her husband and friends, she ran Bunco for years and loved it, and dressing up and delivering a birthday song; she was a very giving person. She was Queen Mum of the Red Hat Club, organized various events to help people, she was especially passionate about feeding people; she did not want anyone hungry. She considered her Red Hat Ladies and her Bunco group to be her second family and in return, many of these folks considered her to be a second mom. Her family remembers her to be a person who wore many hats; she spent her life serving unselfishly; putting other's needs before her own, she was an awesome wife, mother, sister, friend, aunt, and grandmother and finally an extra special person. Eline is survived by her son, Larry and wife, Kathy; son, Jeff and wife, Becky; daughter, Jodi and husband, Greg; daughter, Gina and husband, Ron; daughter, Cathy and husband, Joe; grandchildren, Brandon, Jordan, Travis, Chelsey, Candace, Jake, Kodi; and her great-grandkids; Astin, Briawna, and Austin. She was preceded in death by her husband, Ward Powell; son, Richard L. Powell; and her parents, Albert and Regina. Arrangements entrusted to Dunes Memorial Chapel, 541-271-2822. A celebration of life will be held for Alice Exton, 74, of Coos Bay at 2 p.m. Saturday, April 20 at the Charleston Community Baptist Church, 63309 Boat basin Drive. Finger foods and drinks will be served. Alice went to be with our Lord March 27, 2019. She was a longtime member of Coso Bay and surrounding coastal communities. She was preceded in death by her husband, Craig Exton; five sisters; and a brother. She is survived by a sister, Billie Haughton; her only child - son, Homer Counts and wife, Serena; three grandchildren; one great-grandchild; Alice's stepdaughter, Sarah Exton; and numerous nieces, nephews and cousins. Her good friend, Rose, helped her out clear to the end. Bless all of her friends, church and Topps and all who came to play games. Myrna Mae (Hackert) Harris, 87, of Reedsport passed away at home March 18, 2019 with her family by her side. Myrna was born July 4, 1931, in Medford, Ore., to Albert and Dorothy (Mckee) Hackert. She graduated from Jacksonville High School in Jacksonville, Ore., in 1949. She married Donald Harris April 9, 1950. Don and Myrna made their home together for several years, in the Medford area where they raised their three children: Mark, Donna, and Julie. She was a member of the Presbyterian Church, where she taught Sunday school, Bible camp, and was a Brownies and Girl Scout leader. In 1974, Don and Myrna relocated to Reedsport, Ore., where Myrna was very involved in the Oregon State Women’s Bowling Association. She served as secretary for the Oregon State 600 Bowling Club for more than 20 years, and coached junior bowlers, including her two granddaughters, for many years. Don and Myrna enjoyed traveling near and far for many bowling tournaments with dear friends. She loved camping with family at Lost Creek Lake, and serving as camp cook on hunting trips. Myrna loved being with her family and nothing brought her more joy than being a grandmother to six and great-grandmother to nine. She was their biggest cheerleader, attending their many school events, dance recitals, and ball games. She took great pride in their accomplishments and milestones, big and small, from first steps and words to graduations and marriages. Myrna will be remembered for her kindness, generous heart, warm smile, and unmistakable laugh. Myrna is survived by her husband of nearly 69 years, Donald Harris; son, Mark Harris and Kelly of Medford; daughters, Donna McLane and Dale of Gold Hill and Julie Huebner and Tom of Reedsport; six grandchildren; nine great-grandchildren; and many nieces and nephews. Services were held at the Marina Activity Center in Winchester Bay Saturday, March 23. The family suggests that memorial contributions in lieu of flowers be made to Special Olympics Oregon, 5901 SW Macadam Ave., Suite 200, Portland, OR 97239; or Reedsport Education Enrichment Foundation, P.O. Box 203, Reedsport, OR 97467. Dean V. Crowell - 67, of North Bend, passed away April 4, 2019 in Coos Bay. Arrangements are pending with North Bend Chapel, 541-756-0440. Delbert E. Atkins - 88, of Coos Bay, died April 4, 2019 in Coos Bay. At his request, no public service will be held. A guest register and condolence card basket will be available April 8-12 at Coos Bay Chapel, 685 Anderson Ave. 541-267-3131. William L. Brown - 47, of North Bend, died April 1, 2019 in Portland. Arrangements are pending with Coos Bay Chapel, 541-267-3131. 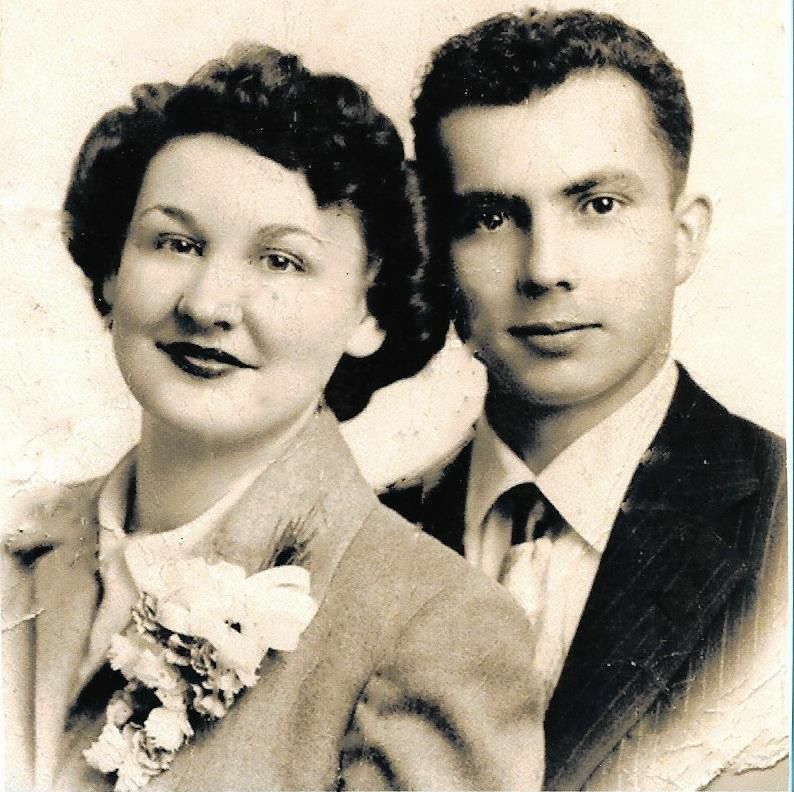 Dale E. Reiber - 85, of North Bend, died April 3, 2019 in North Bend.Arrangements are pending with Coos Bay Chapel, 541-267-3131. LaVaughn Gould - 92, of Coos Bay, passed away April 5, 2019 in Coos Bay. Arrangements are pending with Coos Bay Chapel, 541-267-3131. Carol Ann Costale - 77, of Coos Bay, passed away April 2, 2019, in Coos Bay. Arrangements are pending with Nelson’s Bay Area Mortuary, 541 267-4216. Kenneth Bywater - 56, of Coos Bay, passed away April 2, 2019, in Coos Bay. Arrangements are pending with Nelson’s Bay Area Mortuary, 541 267-4216. Roger D. Gallino - 67, of Myrtle Point, passed away April 5, 2019, in Myrtle Point. Arrangements are pending with Nelson’s Bay Area Mortuary, 541 267-4216. Donna J. Wright - 79, of Coos Bay, passed away April 7, 2019, in Coos Bay. Arrangements are pending with Nelson’s Bay Area Mortuary, 541 267-4216. Jessie Gomez Jr. - 77, of Coos Bay, passed away April 7, 2019, in Coos Bay. Arrangements are pending with Nelson’s Bay Area Mortuary, 541 267-4216. Bertran Roy Evans - 83, of North Bend, passed away April 7, 2019, in North Bend. Arrangements are pending with Nelson’s Bay Area Mortuary, 541 267-4216. David Allen Duble - 73, of North Bend, passed away April 6, 2019 in Bend. Arrangements are pending with Coos Bay Chapel, 541-267-3131. Mickey Francis Williams - 73, of Coos Bay, passed away April 6, 2019 in Coos Bay. Arrangements are pending with Coos Bay Chapel, 541-267-3131. William R. Poppe - Celebration of life, 2 p.m., Gloria Dei Lutheran Church, 1290 Thompson, Coos Bay. Marie (Michel) Nichols passed away March 14, 2019 two months before her 95th birthday. She worked at Security Bank in Myrtle Point prior to marriage and starting a family. In later years she worked at the Myrtle Point Herald. During her years in Myrtle Point, she volunteered with numerous organizations and she was a member of St. James Lutheran Church. She loved spending time with friends, playing bridge and pinochle, golfing and taking trips. Just after her 80th birthday, she decided to move to Eugene to be near her family. While she made many new friends, she always valued her friends from high school days as well as those who continued to live in Myrtle Point. Born in Bismarck, N.D., she traveled with her family by train to Myrtle Point, when she was 3 years old. She started school in Arago, but the family soon moved to Lee Valley where she lived and attended school until she entered Myrtle Point High School. A 1941 graduate of MPHS, she was always very proud of Myrtle Point and would tell anyone she encountered! Her husband, Ben Nichols preceded her in death along with her parents, Ann and Hugo Michel; her sister, Ardella; and her brother, Melvin. She leaves two daughters, Brenda and Richard Down, and Janet Grove; grandchildren, Darci and Brian Stuller, Derek and Christy Down, and Shane and Kyle Grove; and great-grandchildren, Cole and Mason Stuller, and Grady and Maggie Kik-Down. She was very proud of her family! A memorial service will be held at 1 p.m. Saturday, April 27 at St. James Lutheran Church in Myrtle Point. Because of the wonderful care she received from Sacred Heart Hospice, the family suggests contributions (in lieu of flowers) to them at 677 E. 12th Ave., Eugene, OR 97401. We also want to thank the amazing caregivers at Acorn Cottage, Quail Park, Eugene, Oregon for their loving care of our mother. Rhonda Lee Morris, memorial service, 2 p.m., Coos Bay Chapel, 685 Anderson Ave., Coos Bay. David Gary Waytashek - 73, of Coos Bay, passed away April 3, 2019 in Coos Bay. Arrangements are pending with Coos Bay Chapel, 541-267-3131.